Home / Angel Pendants / Amethyst Angel Necklace Finding Soul Purpose. Need help to relax or de-stress? 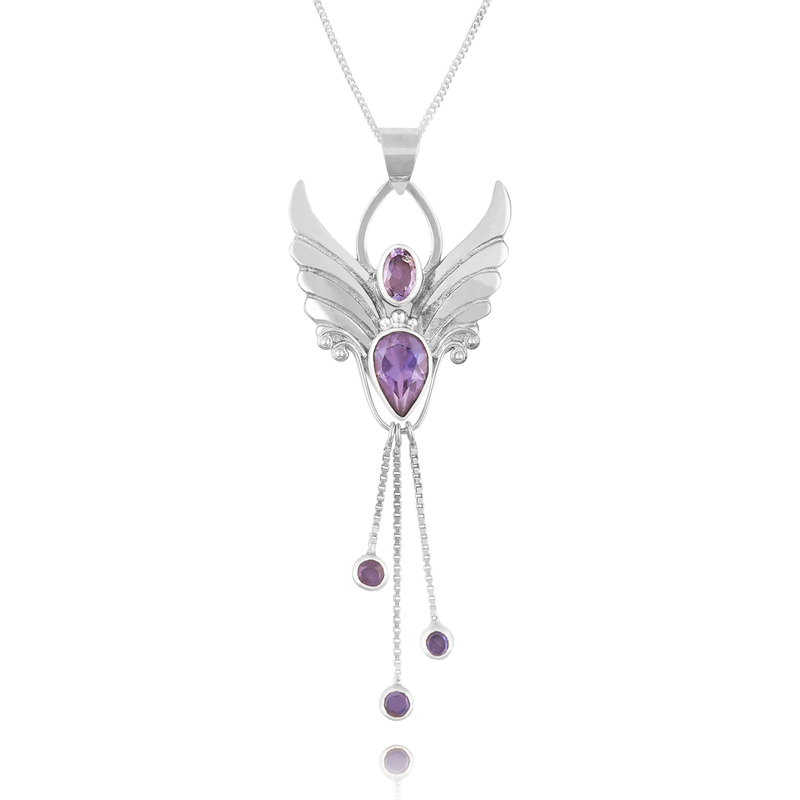 Well, lets face it, everyone could do with some help from the Amethyst Angel Pendant, known for calming the mind’s activity, reducing anxiety and connecting with your soul’s purpose. 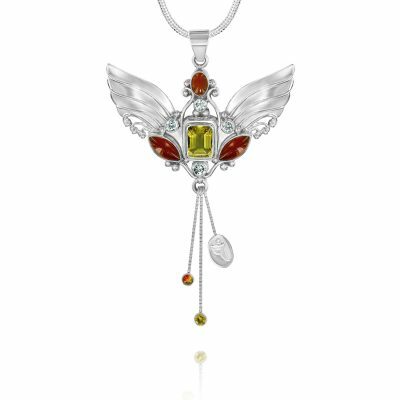 Presiding over the mind, this Angel with her 5 Amethyst crystals and silver wings lifts up our thinking mind to reach higher levels of awareness, soothing the emotions, bringing down anxiety levels and letting in possibilities of peaceful solutions to difficult situations. When the mind is calm all things are more possible. 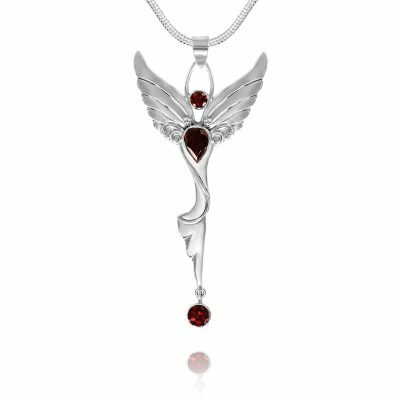 This Angel’s divine purpose is to help you rise above the stress and commotion of daily life to achieve a calm, more stable mental and spiritual disposition. In this atmosphere of peace and non attachment many blessings naturally flow your way. You are able to connect with your Angel’s wisdom, strengthen your intuitive and psychic abilities and access information to do with your own or another’s life path and soul purpose. 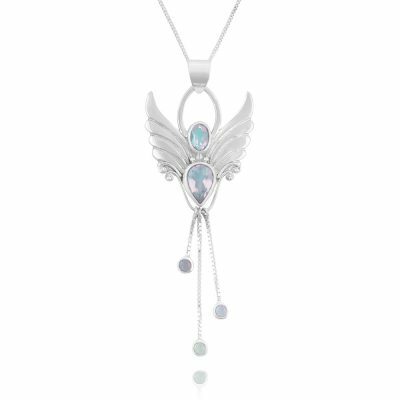 This Angel works primarily with the 3rd eye chakra and benefits those whose work requires constant concentration, students studying for exams, Mothers, psychics and clairvoyants, students of mindfulness and those in helping professions. 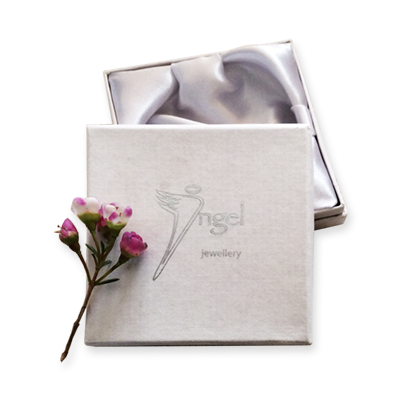 A gentle Angel to stimulate memory and memory recall and the ability to stay calm and clear minded under stress. 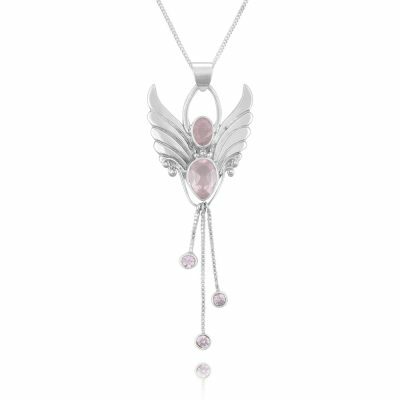 The lovely Amethyst Angel Pendant, with silver wings and settings, contains five cut Amethyst crystals, and comes beautifully boxed with chain included. We post worldwide with a safe, recorded delivery service which takes 5-7 working days for international destinations.